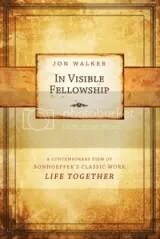 Fans of Dietrich Bonhoeffer will enjoy In Visible Fellowship by Jon Walker – a book that seeks to encapsulate for contemporary audiences the principles found in Bonheoffer’s classic Life Together. In Visible Fellowship has been described by some as “Bonhoeffer in bite-sized chunks”. The 174 pages of this book are broken down into 36 chapters – most just two or three pages long. Each begins with a quote from Bonhoeffer and a scripture before moving in to a commentary on the “big idea” of the lesson. Chapters conclude with a brief description of how Jesus embodied the discussed principle along with well-written personal reflection questions for group discussion. The principles dealt with in this book are basic to healthy Christian community. A few include the importance of being in community, suggestions for a strong devotional life, the primacy of prayer, confession, and more – each with a strong emphasis on practical application. In Visible Fellowship is not designed to be read alone – this book would be best used in a small group setting with participants reading three or four lessons ahead of a meeting coming prepared to discuss application. I stress application, because this material has the potential to be transformative, but not simply through discussion – application is a must. Remember, this is a reworking of a classic book by Dietrich Bonhoeffer. The phrase, “Bonhoeffer says …”, or, “Bonhoeffer suggests …” shows up from beginning to end and will likely become tedious to readers unless they have some appreciation for Bonhoeffer’s life and teachings. I highly recommend leaders familiarize themselves and their groups with him ahead of time so they have at least some knowledge of Bonhoeffer in order to give his words and teaching credibility. The easiest way to do that would be to watch a film together about his life – several are available to buy through Amazon or to rent/stream via NetFlix. In sum, this book might be tedious for individual readers outside of ardent Bonhoeffer fans, but would be excellent to use in a small group made of people who 1) appreciate Bonhoeffer’s life and work, and 2) are committed to practically applying the teachings found within. 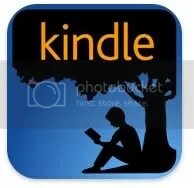 You can pick up In Visible Fellowship through Amazon for $11.07 here, or directly from Leafwood Publishers for $13.99 here. Jon Walker has served as a writer and editor for many years in addition to serving on the pastoral staff at Saddleback Church. You can find out more about his ministry at gracecreates.com.